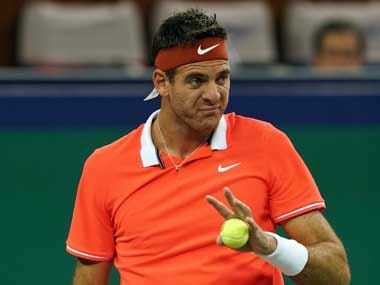 Del Potro, who won the tournament in Florida in 2011, will next face big-serving American Reilly Opelka after last week’s New York Open champion saw off countryman Tennys Sandgren 6-4, 6-0 earlier in the day. 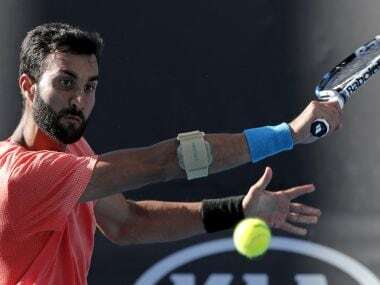 Yuki Bhambri went down fighting to top seed Australia's Jordan Thompson 5-7, 6-3, 5-7 in the singles final of the Chennai Open ATP Challenger in Chennai on Thursday. 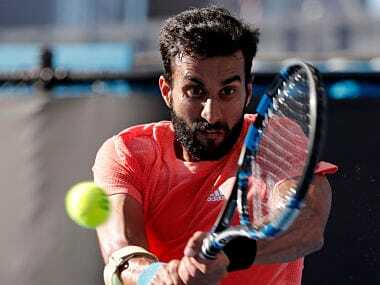 Bhambri got the better of Korea's Duckhee Lee, the third seed, 7-5, 6-2 in one hour and 25 minutes while Thompson beat unseeded Spaniard Pedro Martinez 6-1, 7-6. 25-year-old Yuki Bhambri allowed his rival to bounce back when in sight of the first set, before regrouping to take the next two on a hot afternoon to post a 5-7, 6-2, 6-4 win. 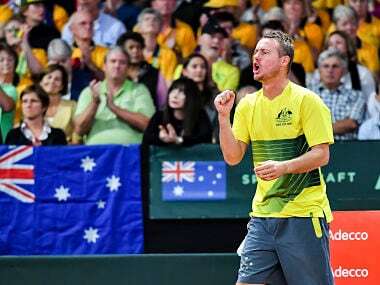 With Bernard Tomic overlooked for the tie amid a deep form slump, Hewitt sprung a couple of selection surprises over the weekend, neither of which paid off. 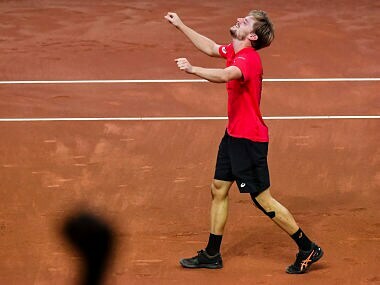 France won their most recent Davis Cup in 2001 before losing the 2002, 2010 and 2014 finals. Belgium made the final in 2015, losing to Britain. 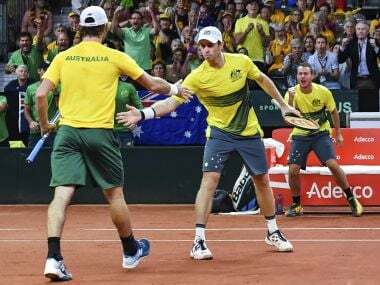 Australia edged closer to the Davis Cup final when Jordan Thompson and John Peers swept past Arthur De Greef and Ruben Bemelmans 6-3, 6-4, 6-0 for a 2-1 lead in their semi-final against Belgium. 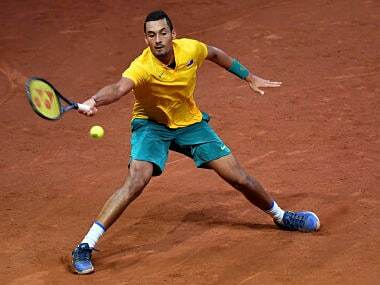 Kyrgios fired 34 aces and 41 winners to take his Davis Cup singles record to seven wins in eight with win over Steve Darcis. 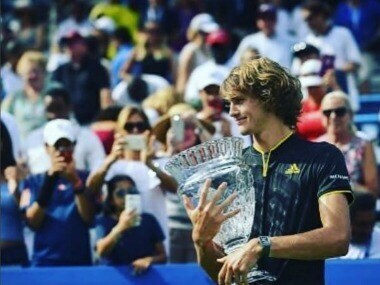 He's the hottest man in tennis after winning trophies at Montreal and Washington this month, but Alexander Zverev would like to escape his opening round without a scare for once. Australia's Arina Rodionova dumped out Russian 16th seed Anastasia Pavlyuchenkova 6-3, 6-7 (6/8), 9-7 in a rollercoaster encounter, taking it on her own fifth match point.